I nearly ran a 5k last weekend with my son in a park near our old home. 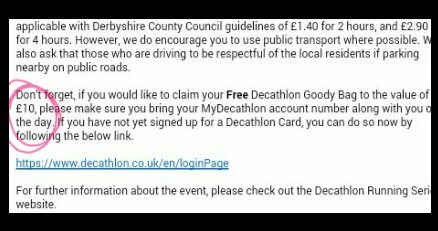 It was part of the Decathlon running series. A free event put on by the sports store. 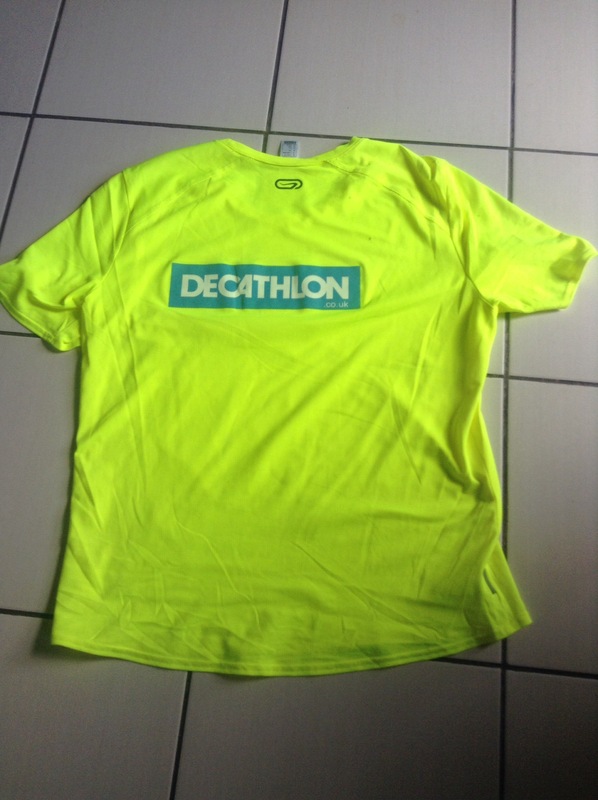 If you have a Decathlon near you, it is worth checking out. It’s not chip-timed or anything, but it was friendly and well organised and a very pleasant morning. It wasn’t quite 5k, hence the ‘nearly’ but more of that in a bit. I might be NotMuchOfaRunner, but my son is even less of one, so when he agreed to do this one with me a few months back (swayed by the free t-shirt and goodie bag ‘worth £10’), I signed us both up straight away (there was persuading my wife or daughter though). 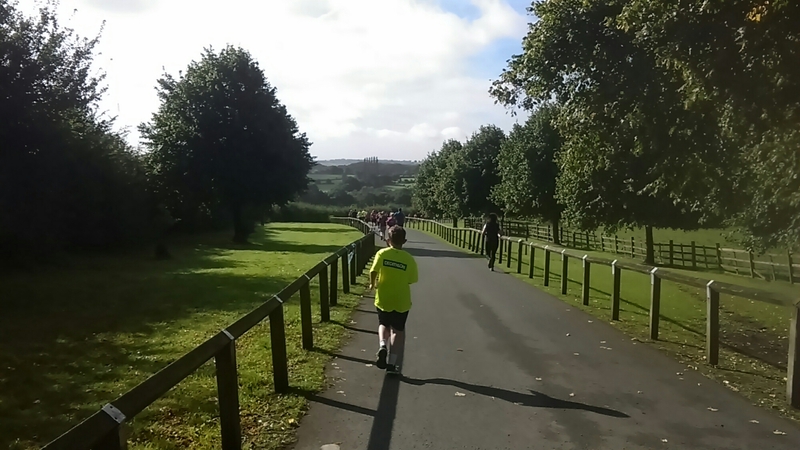 He has been out on his bike a few times accompanying me on a run, but hasn’t run himself since May when he managed just under 30 mins for his school’s 5k. Here’s a couple of photos of him doing his stuff during the race. None of me… but just imagine a slightly taller version with less hair and generally more tired-looking if you want an idea. He’s a funny one, my boy. I made sure he knew that it was fine to walk… that we weren’t going for a time… that it was a hilly course…etc. Basically no pressure. But he wanted to get sub 30 and really beat himself up when he struggled to run up the hills or had to slow to walking pace. Thankfully, the end came in sight before I’d expected it and all of a sudden, his energy had returned as he pulled off a strong final straight into the finish. Knowing the park quite well, I took him to an outdoor tap at the edge of the field and he soaked his head for five minutes afterwards to cool down. He was fine after that and didn’t again mention what a ‘terrible run’ it was (his unhelpful mantra for the last 2 kms). It wasn’t just me who was surprised by the early finish. Here are a few of the titles from other people’s Strava runs that I saw later on. Ha ha. 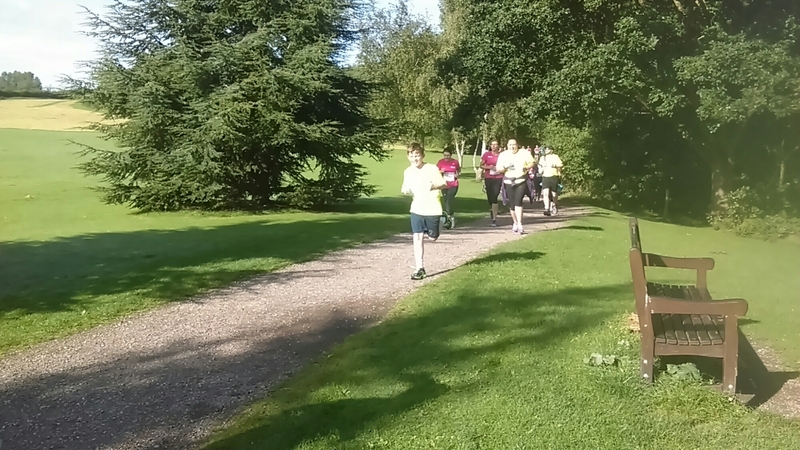 So don’t target this race if you are going for a legitimate PB… but for our purposes of a ‘fun run’ it was very welcome! Don’t tell my son it was short, though! Which means that sticker that says ‘run power’ is worth £3 ! Apparently. Who knew?! 1)It was a well organised event (though I did get an email a short while back telling me I’d been signed up for the Bolton event! …someone must have clicked ‘send to all’ by mistake). 3)It was a lovely morning. 4)I was with my son. No matter. 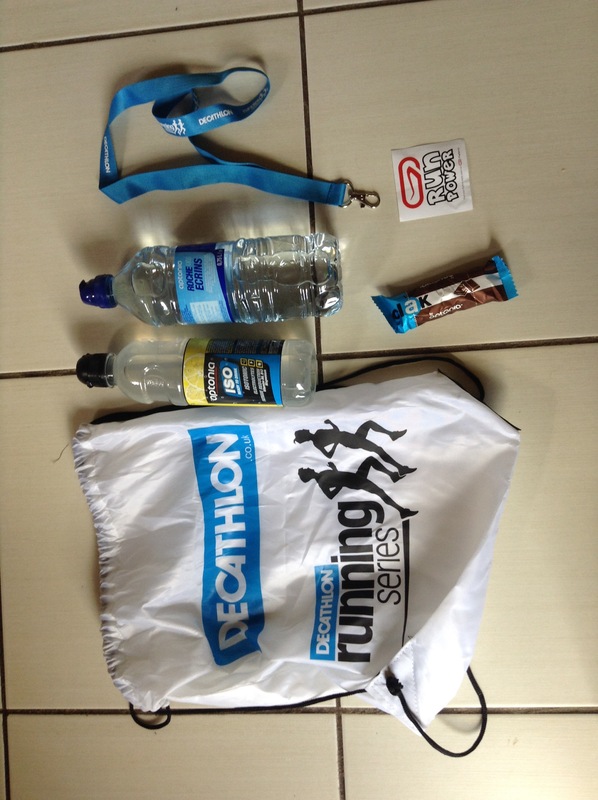 The run was worth it (for me) even without a goodie bag because I was with my boy. I hope he forgets that he doesn’t like running very much quite soon, because I’d like to go out again. Oh brilliant stuff boys! 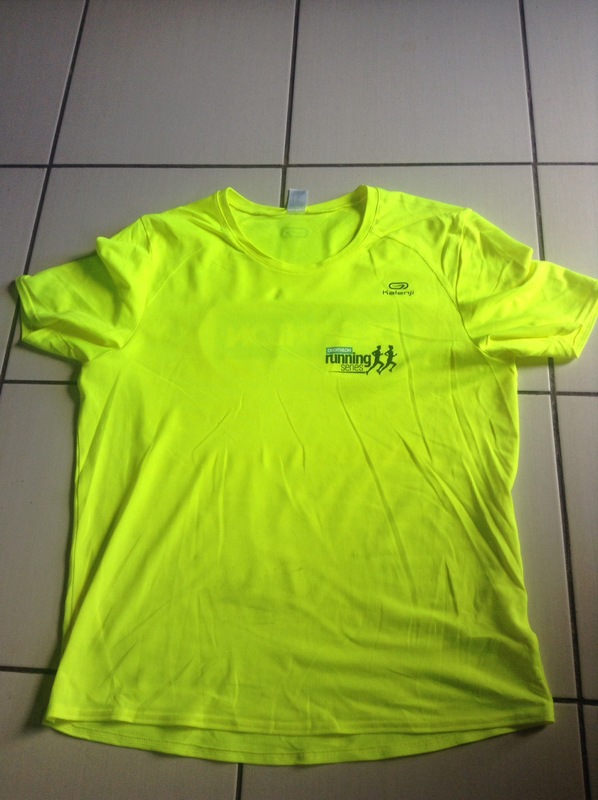 The t shirt is a great colour for winter running even if you will look like an escaped employee!